Every year the new academic year is officially opened on the first Monday of the academic year. 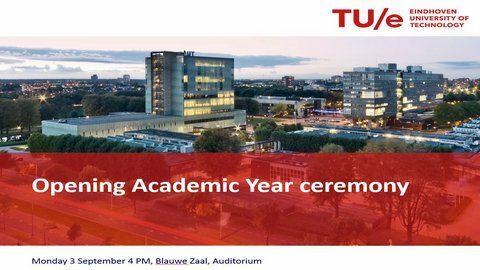 The opening of the Academic Year of TU/e is being held in the Blue Room of the Auditorium on the TU/e campus. The program starts at 4 pm and will be followed by a reception in the Senaatszaal (Senate room). If you are unable to attend, you can follow the ceremony via a live stream.